Global organizations are increasingly relying on PRIMUS SAP Testing expertise to address multiple testing requirements in SAP Applications. PRIMUS Testing Services includes Automated test environment creation and refresh tool – including the configuration and the data with More than 100 reusable assets. PRIMUS Techsystems enables companies to reduce their application sustainace risk by transforming business critical testing into a continuous and efficient end to end process. and application maintenance – through solutions, tools and accelerators, and prepackaged templates. Our team of SAP testers have end to end process knowledge on various SAP modules, testing methodologies, and tools such as SAP Test Acceleration and Optimization (TAO), SAP Solution Manager Automated Testing and HP Quick Test Professional. PRIMUS Techsystems is engaged with Hirschvogel Holding, Autocomponent major from Germany to take care of application testing to reduce the risk. 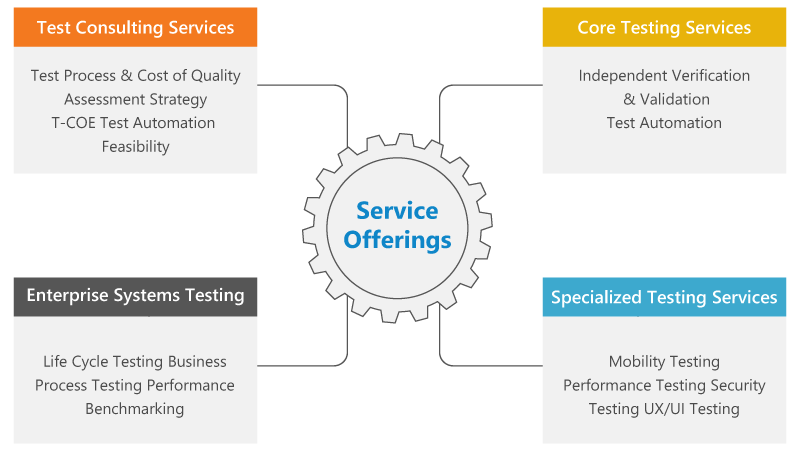 SAP ECATT Based testing methodology is followed where based on the business criticalities, frequencies (Daily, Weekly, Monthly, Quarterly, Half Yearly and Yearly) are assiend and the processes are executed from offshore India delivery center.